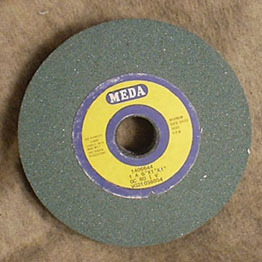 6 inch x 1 inch size only 80 grit. Use with water drip. Soft bond wheels are faster cutting, but have a shorter life. Use these to make preforms for incredible parallel flaking and cleaning up your goofs.